Bitchin boat, looks great. It took me forever to figure out "Constant840". very sweet ride, i think i get the "constant840"
I always did like that car! In 2003 I went to the Chevy dealership and lookedat the Silverados. Across the street was the Acura dealership and i looked at the Type S. One of the deciding factors in me getting the Silverado was the cost of insurance, the Acura was "A LOT" more a year! But I do like that car! The gel scheme is very similar to the Southwind I have, also with Ford power. Good shape to the hull, I like it. Here is my project. it's a 50 footer lol, the gelcoat looks like a dry lake bed and the interior got eaten by a dog since this pic. Just put a polished Weiand Stealth intake on it as well as new plug wires and coil (both victims to the previously mentioned dog!). I want to change to twisties and have them coated and then do the interior and paint blue with blue real flames on deck. "Too much horsepower is almost enough!!!" looks a lil small for a 50 footer! Those seats are identical to the seats I had in my old boat! Despite the description, she looks sharp in the picture! Here's my beautiful money pit in the water... A 1979 Sabre Jet bubble deck w/ a fresh 10 hour old 460 Ford (.060 over), roller rockers, a Berk. Jet and a whole list of other goodies inside! Actually in the next couple of years I do plan to switch over to a bowtie. I love Mustangs and Cobras, but the blue oval gives up too much on the water. I've had to be towed 3 times already . Once was rod sticking out oil pan!, I never had any problems when I've had a bow tie in a jetboat. 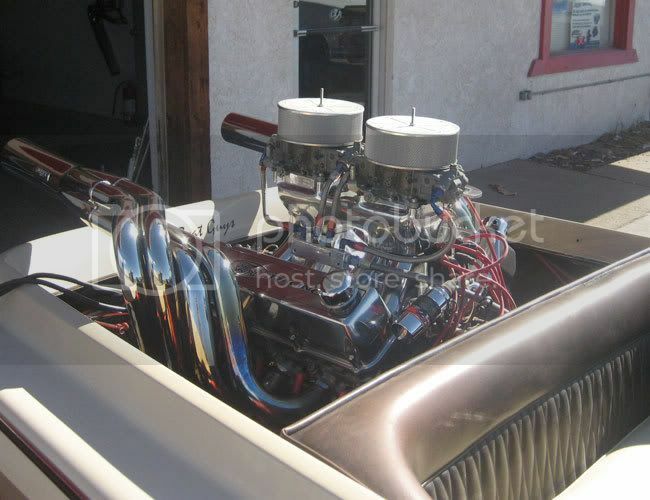 So I will start building a blown 496 and swap out when it's done. For now the blue oval will have to keep me going. 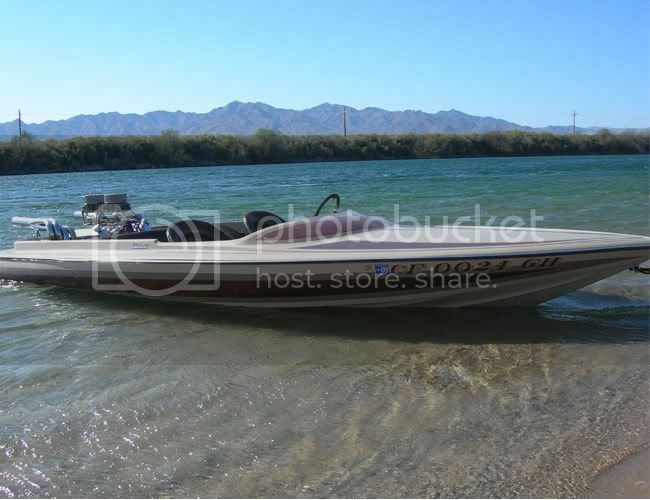 But I think I'm going to start launching from Picacho instead of Fisher's just to save on paddling lol. Here are a few of mine. 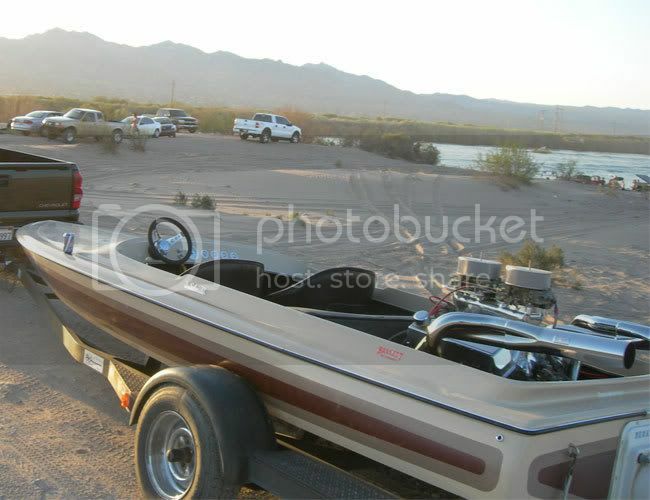 These pics are from Oct 2007 when I just got it in the water.